If the fish in a pond, suddenly started to all swim in circles together, around and around we might wonder if they had been hypnotized. If they all started to bloat, their round bellies expand, dropsy set in with the whole school we might wonder what was the matter. Did someone feed them too much? If the entire pond of fish started to behave irresponsibly, jumping out of the water thrashing on the muddy shores would we not be concerned? If they were dying, all the fish, anxious and depressed, cutting themselves with dull rocks on the bottom of the pond. If they began sipping on noxious chemicals to dull the ache, or if the whole pond started swimming up streams they never spawned in, but waters that would surely kill them…would we not try to intervene? Would we not wonder if there was something wrong with the water they were swimming in? Would we not be just a little bit concerned that something was wrong with the ENVIRONMENT? Perhaps…we should start shouting at the fish. HEY YOU FISH, STOP THAT you are hurting yourself don’t you see? Your underside is bleeding, the sharks are circling, PLEASE stop dragging your bloated belly along the bottom. JUST STOP IT. 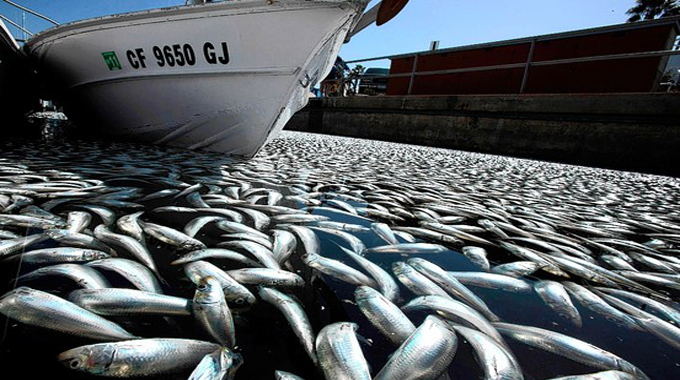 Or maybe we treat the sick fish…can we catch every single one, try to give them some antibiotics, push back the decay. Perhaps if we sit them down on a therapists couch we can cure-all that ails them. But all the fish are doing it, don’t you see? Every. single. one. These waters are killing them, not so softly. Its time to drop anecdote into this pond. It is time to figure out how to treat this culture. It is time to love these fish enough to do the HARD work of starting from ground zero, of getting into the mud and the mire and showing a better way. It is time friends, to recognize the thief dropping poison in our kids and to STOP him. They have started taking the bait off of a hook meant to kill and destroy. Youth culture is sick. For the first time at my work at the university we are prescribing more anxiolytics then antibiotics. More antidepressants then birth control. More morning after pills then casts for injuries. Things are not quite right in this fish pond. We covet your prayers this weekend as we step into the waters, scatter the only cure for a society so sick. The only hope for a situation so hopeless. Join us? Pray with us this week. Fast with us this week for a work that only God could do. He can make all things new you know. Even ponds full of toxin and the half dead. Living Water can soothe even the sickest of fish…. This entry was posted in Church, Youth Ministry by melissafed. Bookmark the permalink.